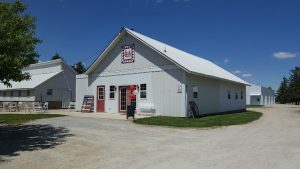 Transformed from a dairy barn built in 1925, Barn Happy has become a one-of-a-kind business that works to preserve the agricultural heritage and values of the heartland in Cedar Falls, Iowa. 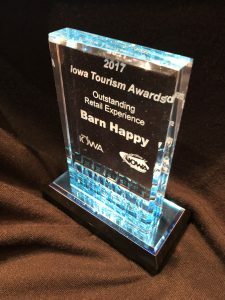 Barn Happy works to give customers and visitors a genuine snapshot of the state. 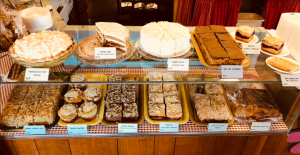 All food is made locally, and a great selection of fine arts and crafts are also sold here. experience a slice of iowa! Experience Meals made by hand with a multitude of options of soup, sandwiches, pastries, coffee, and more! 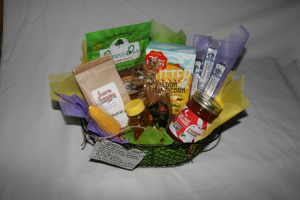 Send a little part of Iowa to your favorite people with our locally made products in a gift basket! 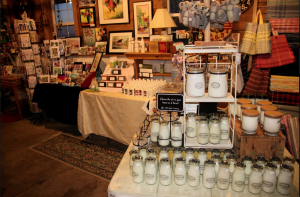 With products made locally in Iowa, these one-of-a-kind items make great gifts for family and friends. An old barn crib turned into a unique and fun event center is a perfect location for your celebration. Stay updated with our Facebook feed! 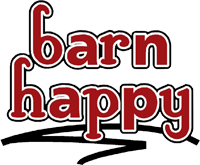 Barn Happy is with Brad Pierschbacher and 8 others. Barn Happy is with Adrienne Boettger and 2 others.